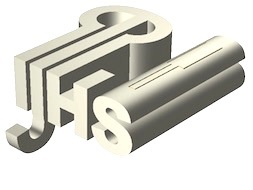 The IJHS publications are intended for the society’s members. To get access to the intranet, the “IJHS members’ only section”, it is necessary to register on this website and to pay your annual membership. The Newsletters’ back numbers are available to anyone. Without any doubt, this is Fred Crane who initiated jew’s harp studies. Frederick Crane (1927-2011) was a professor of musicology at the University of Iowa. He did teach Music in the Middle Ages and all about jew’s harp. He organized in 1984 the first International Jew’s Harp Congress in Iowa City, USA, he initiated the first journal dedicated on jew’s harp studies, and was among the founder of the IJHS in 1998. His seminal publication is the journal called VIM which later became the Journal of the International Jew’s Harp Society. His multidisciplinary approach and his in depth researches not excluding even the tiniest traces of the instrument grounded definitely jew’s harp in the History of music. 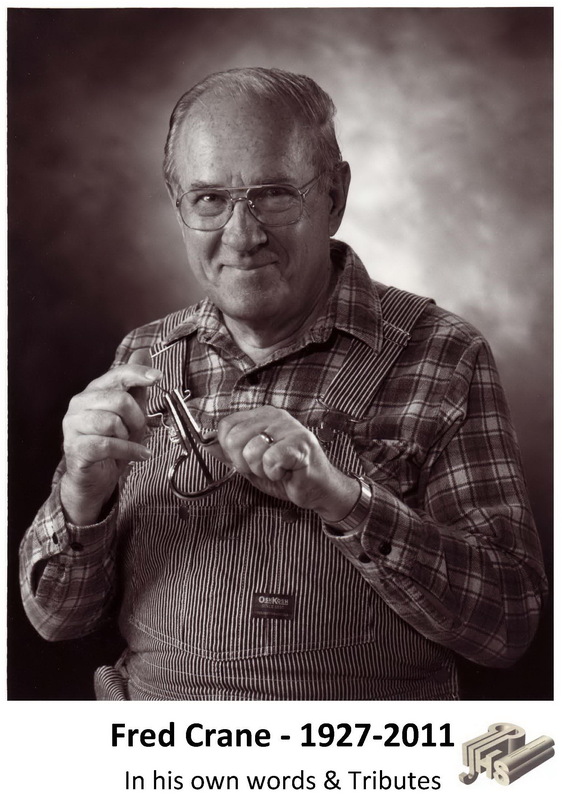 He was always ready to share his knowledge and to promote jew’s harp studies which are not only focusing on the origins and the history of the instrument, but also on the musical, cultural, socio-economic, and artistic dimensions of the jew’s harp, any of its manifestation in the past and present all around the globe. 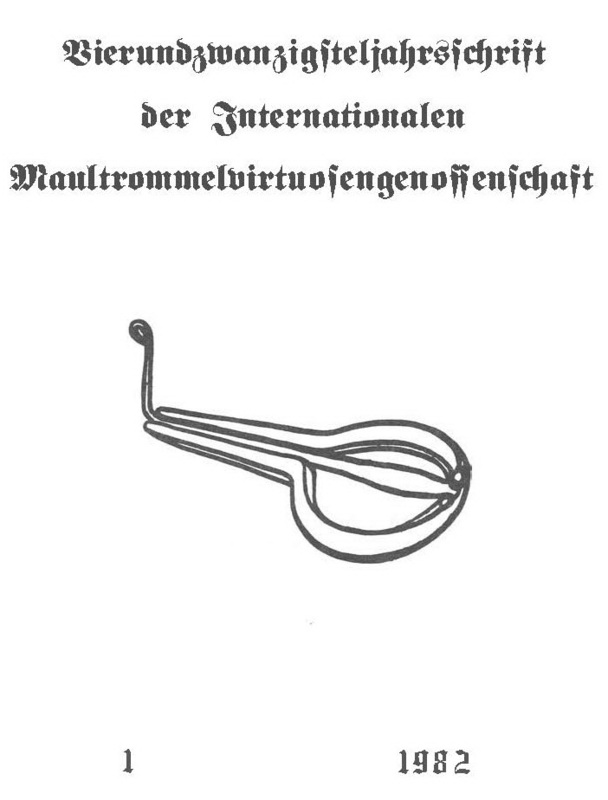 The IJHS members’ only section also includes the “Fred Crane’s Memorial Library”, a virtual depository of publications dedicated or related to jew’s harp. If you wish to contribute to the Journal of the IJHS or to insert a news in our Newsletter, or Blog, please contact the IJHS Editorial team. 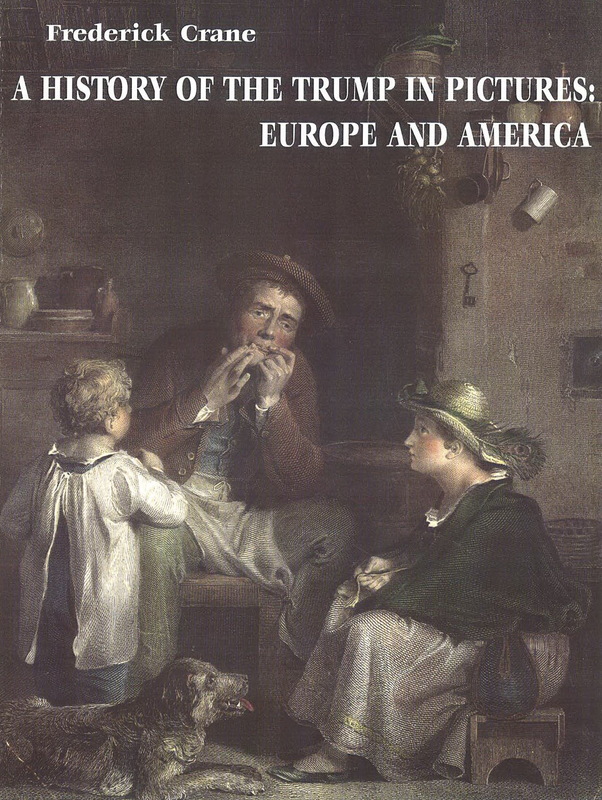 The only major instruments without journals of their own until now are the hurdy-gurdy and the jew’s harp, and with this first issue of Vierundzwanzigsteljahrsschrift der Internationalen Maultrommelvirtuosen-genossenschaft, hurdy-gurdy lovers alone are left to suffer privation. VIM… I’m not too happy with the acronym. I did consider calling it Bulletin de l’Organisation Internationale des Nobles Guimbardistes, but that lacks the je ne sais quoi. I couldn’t come up with anything at all for TWANG. There is something about the Jew’s harp that attracts more than usual affection for the instrument and everything about it. 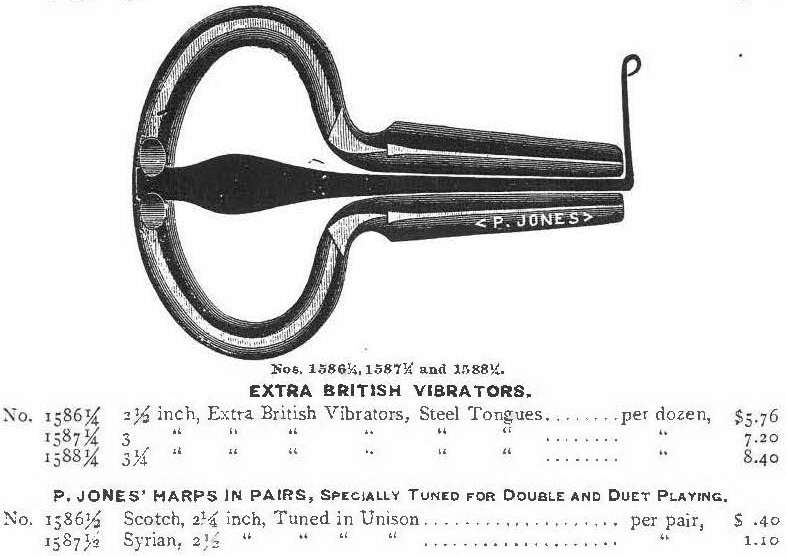 Other instruments have fans, enthusiasts, aficionados; the jew’s harp attracts zealot s and fanatics. I have evidence that there are quite a few Jew’s harp freaks in existence, all in near isolation. Years ago, I thought I was the only one, but gradually the others have been revealing themselves. It is remarkable that we all quite independently adopt similar behavior patterns. We haunt antique shops and flea markets, always with a dream of finding a gross of mint condition Smith harps from the best period. […] And, I observe, everybody sooner or later duplicates my experience of the summer of 1955, when I shut myself up in the University of Iowa library, and didn’t emerge until I had located every retrievable scrap of published information about the jew’s harp. This journal is devoted and dedicated to my fellow monomaniacs. It might be possible to get the impression that this publication is not entirely serious. The impression would be correct. For centuries, literate persons and sophisticated musicians in the West have commonly regarded the jew’s harp as a bit bizarre, rather ridiculous. 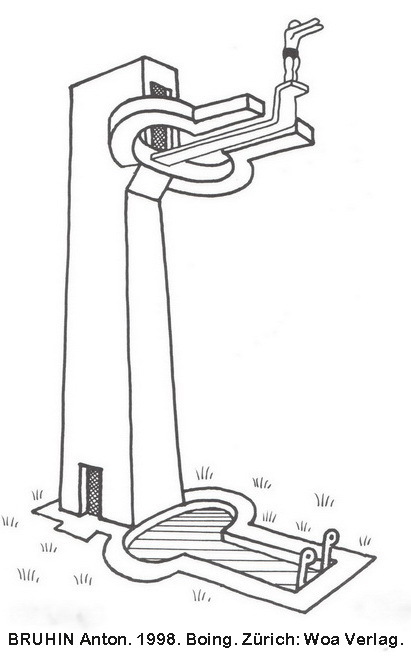 We know better; still, it comes naturally to poke a little fun at the beloved object. The intention is to be mostly serious, occasionally facetious, never tedious. Journal edited and published from 1982 to 2003 by Fred Crane (1927-2011). His widow, Lois, generously donated the volumes to the IJHS, now digitised by the Society, and allowed to make them available to the IJHS members on this website. These issues are available in the intranet; access granted only to IJHS members (login required). VIM 01: 1982, 96 p.
VIM 02: 1985, 123 p.
VIM 03: 1987, 115 p.
VIM 04: 1994, 161 p.
VIM 05: 1996, 161 p.
VIM 06: 1997, 157 p.
VIM 07: 1998, 79 p.
VIM 08: 1999, 127 p.
VIM 09: 2000, 84 p.
VIM 10: 2002, 105 p.
VIM 11: 2003, 116 p.
A History of the Trump in Pictures: Europe and America. Crane Fred. 2003. A History of the Trump in Pictures: Europe and America. Mount Pleasant, Iowa. A special supplement to VIM (Vierundzwanzigsteljahrsschrift der Internationalen Maultrommelvirtuosengenossenschaft). 182 p.
IJHS members only (login required). 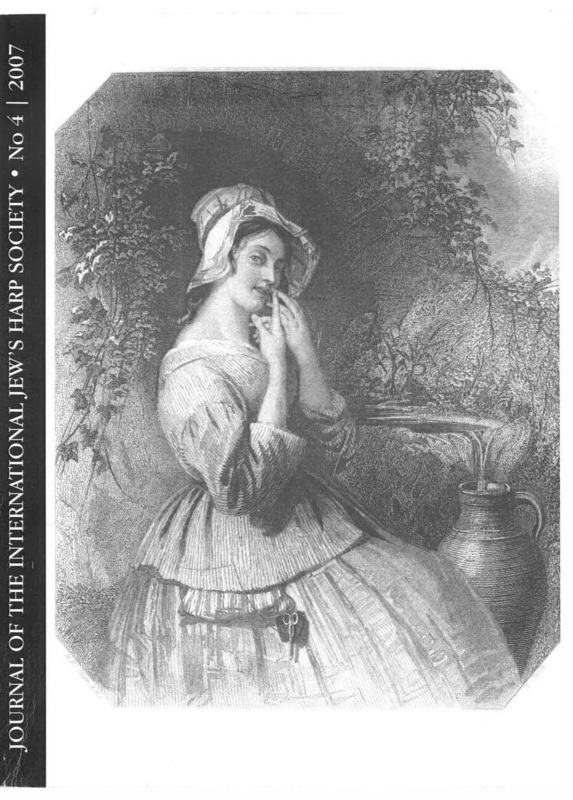 VIM’s successor is the Journal of the International Jew’s Harp Society, edited by Fred Crane until issue number 4. The IJHS Journal issue 5 (John & Michael Wright editors) and 6 (Michael Wright &, Harm Linsen editors) were published only in digital version, printable PDF. IJHS Journal 1, 2004, 100 p.
IJHS Journal 2, 2004, 104 p.
IJHS Journal 3, 2005, 69 p.
IJHS Journal 4, 2007, 105 p.
IJHS Journal 5, 2011, 55 p.
IJHS Journal 6, 2016, 100 p.
Fred Crane - 1927-2011. In his own words & Tributes. Testimonies in memory of Fred, edited by Michael Wright, IJHS, 2011. Between 2003 and 2012, the IJHS issued 14 newsletters. From issue 5, they were edited by Michael Wright. With the emergence of social media and the project of a new IJHS website, the publication was interrupted temporarily. The IJHS has now a blog section on this website, a Facebook page, and plans to launch a new Newsletter formula during 2018. These issues are available to anyone in PDF form. 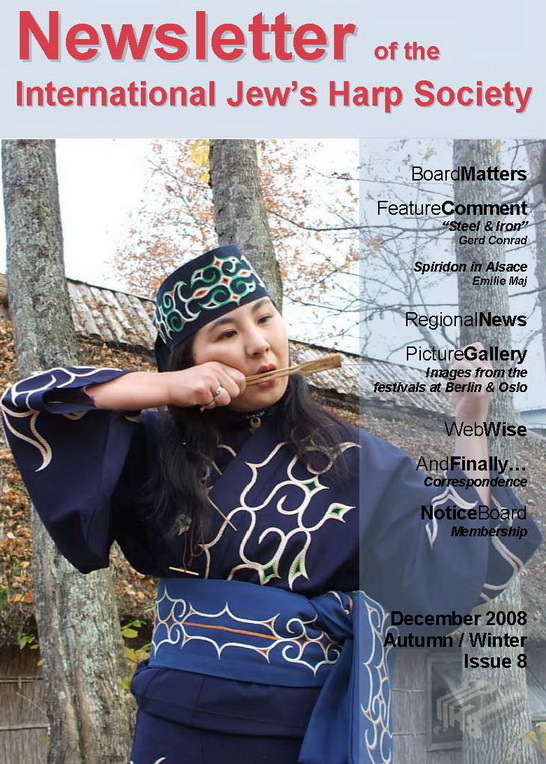 IJHS Newsletter 10, 2009, suppl. From (p. 83): Fred Crane. 2003. “Trumps in American musical instrument trade catalogs”. VIM 11: 67-116.